You can now look for a book from your own device anywhere you are! To get started you can read through these quick directions. ​7:15 a.m. - 3:00 p.m.
Students sharing a web-based world building site. 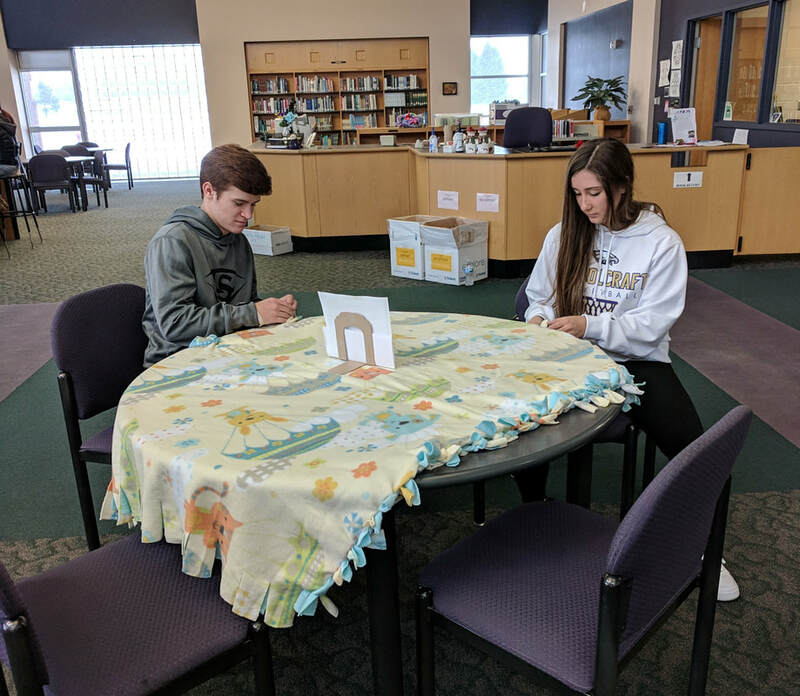 Students working on blankets for Bronson's Pediatric Unit. 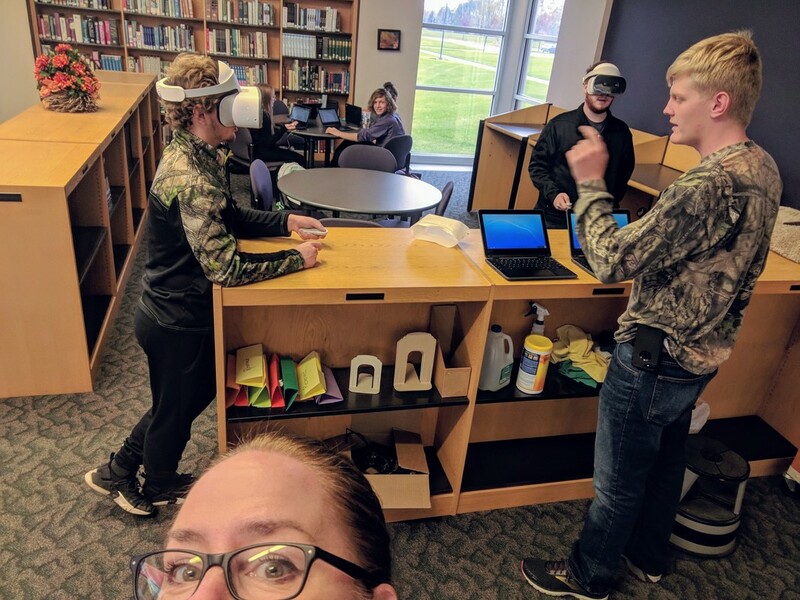 Our Tech Team student giving a lesson on the Virtual Reality Goggles. 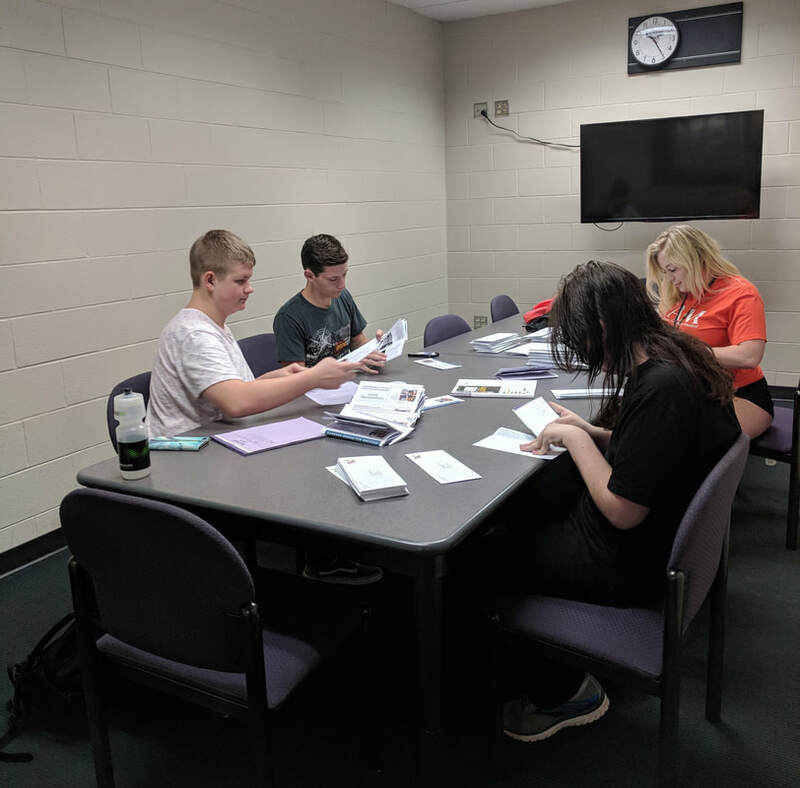 3rd hour Yearbook students utilizing one of the conference rooms. 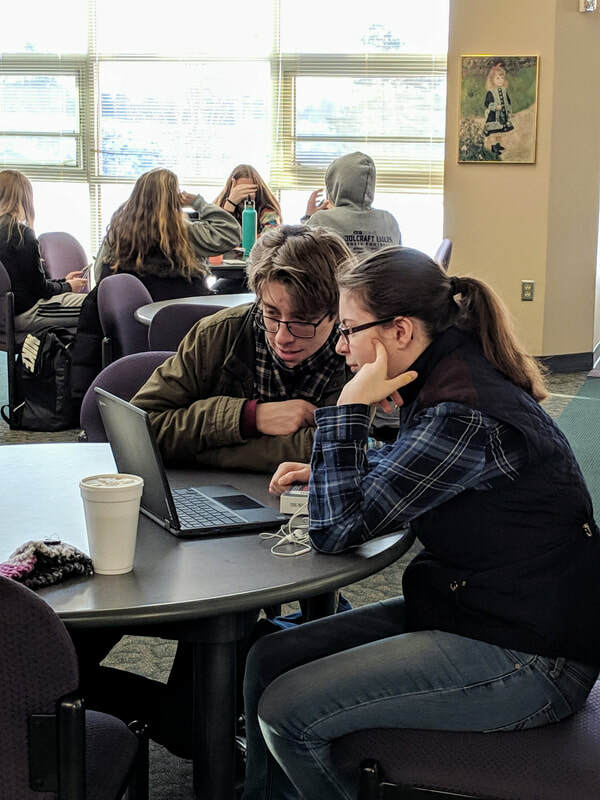 A dual enrollment student taking advantage of the quiet, study space. When school work is done, it's a great place to interact over a friendly game of cards. A student enjoying a good book!